No one should miss out on a chance to visit far-flung tropical destinations. Though, having a serious allergy can really inhibit you. You are anxious about what you can eat, the language barrier and what you can do if something does happen. Southeast Asia is a dream destination for many, but with the heavy influence of seafood and peanuts in their cuisine, it can be a real worry for anyone with these allergies. Your safety and happiness is our greatest concern, so we have created a guide to travelling to Southeast Asia with an allergy to help you understand the risks and the steps you can take to have the amazing holiday that you deserve. An allergy to shellfish is a response by the body’s immune system to the proteins found in particular marine animals. This can range from octopus, squid and scallops to marine animals with a shell, like shrimp, crab and oysters. Southeast Asia does have a diet that relies heavily on seafood. 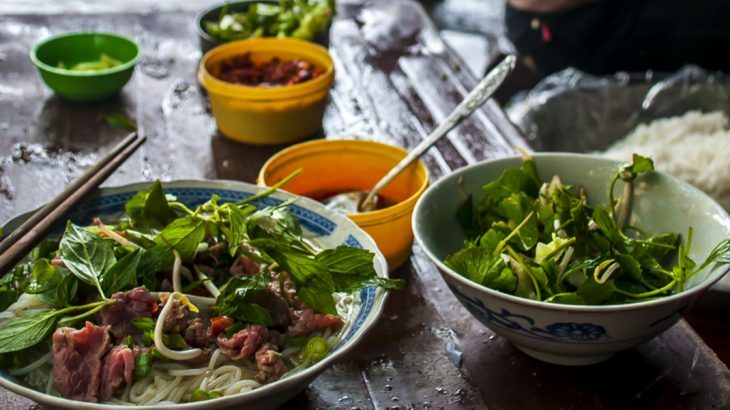 In our previous post, a taste of Vietnam, we looked at how the different regions of the country offer different types of food. 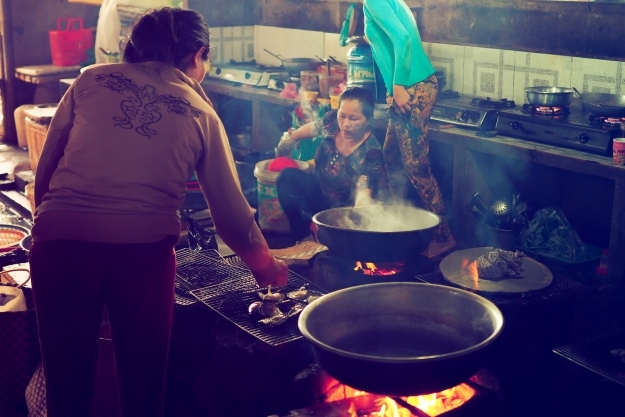 If you are visiting northern Vietnam you will find that many dishes contain seafood and crab in particular, but there is a great deal of beef and chicken on offer too. If you do suffer from a shellfish allergy and are visiting the south on a Cambodia holiday then you should be cautious when eating out, or trying the street food. The south is blessed with the largest stretch of the coastline, and the people here really make the most of it. You will find a great deal of squid, shrimp, prawns and crab throughout the region. Cross-contamination is a risk when there is such an abundance of shellfish in Southeast Asia. 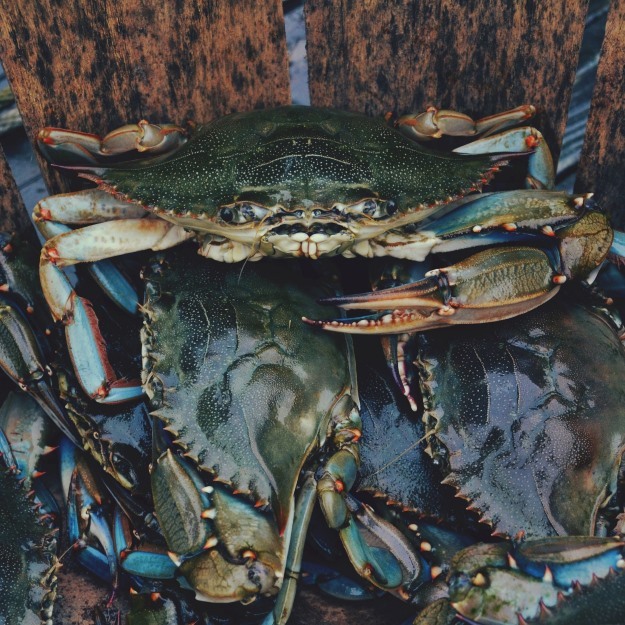 You may not necessarily be allergic to all seafood, but there is a chance that it has come into contact with shellfish. Be cautious of soups and stocks. Your dish may not include shrimp or some crab, for example, but may have come from something containing it in the kitchen. An allergy to peanuts is among the most common food allergies, as well as one of the most severe. The reaction – anaphylaxis – can be caused from even the slightest contact with a peanut, for those who are most seriously affected. 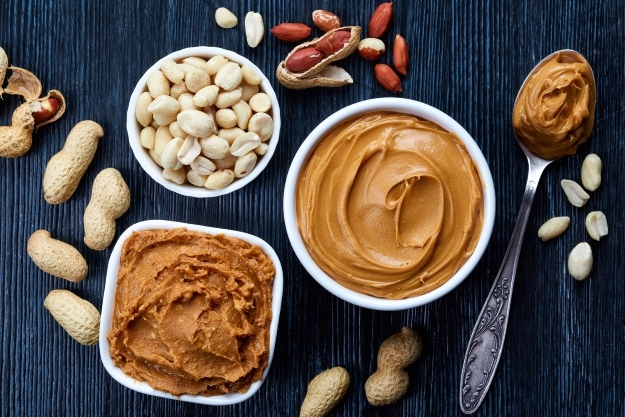 Such is the severity of peanut allergies, that many experts and allergists advice that the best way to prevent a reaction is by complete avoidance. However, this is almost impossible, particularly abroad. After all, allergies are not restricted to one type of person, or one country. So while there may be a higher proportion of peanuts in Southeast Asian diets, there is still going to be people who are allergic. Research the common foods of your destination country. Find out what common ingredients are used in cooking that could cause an allergic reaction. Pack the medications you need to prevent an adverse reaction like antihistamines or epinephrine injectors with refills. Always have these available on your purse or handbag. If you are buying groceries abroad, read the labels and be aware of packaging that does not list ingredients. Note that in many countries there are weak or no food labelling regulations and some products may be partially labelled. Tell others about your food allergy. Carry a personalised translated card detailing your allergies to show restaurant waiters, grocery store clerks, or food vendors. Don’t rely on your tour guide to do this for you. SelectWisely and Allergy Translation offer a wide range of professionally translated cards. Wear a Medic Alert bracelet mentioning your allergy. Find a reputable doctor or hospital prior to your trip in case of an emergency. Tell your tour guide or travel companions so they know where to take you. Carry a traveler clinical record outlining your food allergies so that healthcare providers abroad are aware of your condition. Preparation and research are very important to holiday, understanding where to go, what to see, when is best to visit and more. But this planning is emphasised when you are travelling with an allergy. As Tullia said, understanding the foods of the country you are visiting is vital. It is also important to make people aware of your allergy. You are not making a fuss or making anyone go out of their way for you. Perhaps it is your child who has an allergy. One tip we have, which could relate to yourself if you are the one who suffers, is to bring your own snacks. Or even better, make your own before you go on holiday. By bringing snacks that you know you, your child or partner can eat means that when hunger strikes you can just reach into your bag and pull something out with confidence, rather than gambling on a range of foreign snacks. Be sure to keep your medication with you throughout your trip. If you or a loved one does suffer with a serious allergy then you probably do this anyway, but just remember to have it in your hand luggage for the flight and at hand throughout the duration of your holiday or tour. But for some, the biggest worry can come long before you step foot in your destination. The confined restraints of the aeroplane mixed with dozens of people in close proximity probably not suffering from an allergy themselves can cause a few problems. Before you book your Cambodia holiday you can contact the airline and make them aware of your allergy. They will be able to inform you about the food provided and you can even ask to pre-board to sterilise your seats. One of the best tools to those who suffer from allergies but have the insatiable appetite for travel is to download a food translator app. Allergy FT is a brilliant app that you lists over 86 food allergies ranging from egg and shellfish to peanuts and wheat. It will translate your allergy into a range of languages in 57 countries across the world, with all of the translations build into the app, so you are not being charged extortionate prices for your roaming internet rates. If you have a shellfish allergy the app can translate clams, crab, lobster, mussels, oysters, scallops and shrimp into the local language for you. Allergy FT is available on the app store for £1.99. However there are other options for you. 44% of British adults suffer from at least one allergy, with numbers rising year-on-year. Up to 20 per cent of those with allergies to fish can consume fish which is canned, for example tuna. However, this is still a very sensitive area, as four in five people could still have a reaction. So do take caution or consult an allergy specialist. Eating out with an allergy goes beyond asking “does this contain any peanuts//shellfish?” You have to ask deeper and more specific questions. For example, if you are allergic to peanuts you will need to enquire about the oil used in the kitchens: “What kind of oil is used to fry the chips?” Sometimes the oil will have been used to fry or cook something that does have traces of nuts, or the oil itself will be nut-based. This continues with sauces and garnishes. Some are made in bulk at the beginning of service and are transferable for a number of dishes. This means that there could be traces of nuts within. Look deeper than whether there is a visible example of nuts or shellfish being included in your dish. But having lived with the allergy, or someone who has one, you will know this. No one should feel like they cannot travel because of their allergies or specific dietary requirements. Food is such a massive part of experiencing new cultures that it is really hard to immerse yourself in local customs without trying native dishes. But you have an extremely serious condition, one that cannot be taken lightly. If you follow our advice and speak to your tour provider and airline, we are sure that you can travel Southeast Asia with an allergy and have an amazing time along the way. Editor’s Note: This blog was originally posted in August 2017 and has been fully updated. Book an escorted tour of Southeast Asia with the UK’s leading Asia Experts, Wendy Wu Tours. Our fully inclusive tours visit all the major sights of the region for an unforgettable holiday. Cambodia, Laos, Vietnam food allergies, food and drink, Southeast Asia. permalink.